* Total number of reviews and star-ratings are based on data collected during the time period Plumb Crazy Inc. has been using the ReviewBuzz system and may not directly match the data found on each public review site. Professional service in terms of booking and work performed. Daniel was great. I felt Dan did what was best for the customer, rather than what he could charge the most. He fixed the leak from our toilet tank, which is what I called for originally. I then asked if he could provide an estimate to fix a leaking faucet on our non-standard tub fixtures. His installation quote was definitely a lot cheaper than the previous company who looked at it. I decided to try Plumb Crazy as I didn't want to use the previous company I used. I thought the previous company charged a lot, and I was probably right based on this one experience I had with Plumb Crazy. I will definitely be calling them again for every plumbing need that comes up in our home. Not just for the price but also for the great customer service. Daniel came over to fix a leaking toilet, gave us options, got us all fixed up... we use these guys all the time, they are great and so is Daniel. Daniel was great! A quick and problem free faucet install. Went above and beyond to work around my schedule. Highly recommend! Thank you Daniel and Plumb Crazy! When my hot water heater was leaking this morning, I put in a call to Plumb Crazy. They gave me instructions immediately on how to turn off the gas and water to the device, then dispatched a technician within 4 hours. The technician Daniel D. was very professional, courteous, and answered all questions in easy to understand terms. He fixed the issue quickly and cleaned up everything from the repair. I cannot recommend Plumb Crazy enough. If you need a plumber, go to these guys. Daniel came out and found a very pesky & slow leak from a drain vent that was improperly installed by the previous owner. Was able to minimize the amount of drywall we needed to remove to find and repair the problem. Been dry ever since. Big thanks! 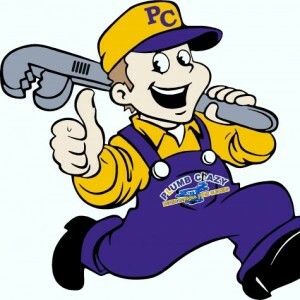 We have used Plumb Crazy for years and have always been happy with their service! Scheduling with Scott and working with Daniel are a pleasure even for a burdensome house repair. After discovering that our master bathroom sink was leaking into our family room, we called Plumb Crazy. Daniel came out the same day. He was courtesy, professional and thorough. He also gave us wonderful suggestions to prevent any problems happening in the future. I would absolutely recommend Plumb Crazy. Daniel was superb, working in arduous weather conditions to repair our water shut off valve. Cheerful and professional, Daniel kept me abreast of his work throughout the job and we are completely satisfied with the results. At the conclusion of the job, he made sure that I fully understood everything related to the work. I couldn't be more pleased and very highly recommend him! I have dealt with Plumb Crazy for over ten years and have received consistently excellent, timely and professional service from its owner Scott and his associate Daniel. They've been there for me when I had emergencies at awkward times of the season; their advice was always intelligent and measured, never attempting to trick me into unnecessary spending, and their work is always top notch. I recommend them very, very highly. Been using Plumb Crazy forever. Excellent dependable work along with charismatic technicians. Plumb Crazy Inc. Team . Customer service is always a top priority at Plumb Crazy Inc.. Our BBB Membership rating is like a badge of honor as we continuously strive to provide the best experience for our clients.